Veteran Service Agencies first originated in 1926 through the American Legion. As demand for such services increased (largely due to World War II), the Agencies became a part of the County Government in 1945. 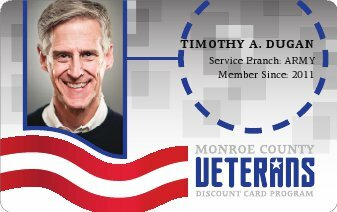 Since that time, the Monroe County Veterans Service Agency has provided warm, compassionate service to thousands of veterans and their families. If you are unable to locate any of these records, our staff will be more than happy to assist you. For pension claims (to include Aid and Attendance, Housebound, and Improved), an Accredited Service Officer will send you a letter detailing the exact documents that are needed to support your personal claim. The same is true for any memorial benefits afforded to a veteran's surviving family members.